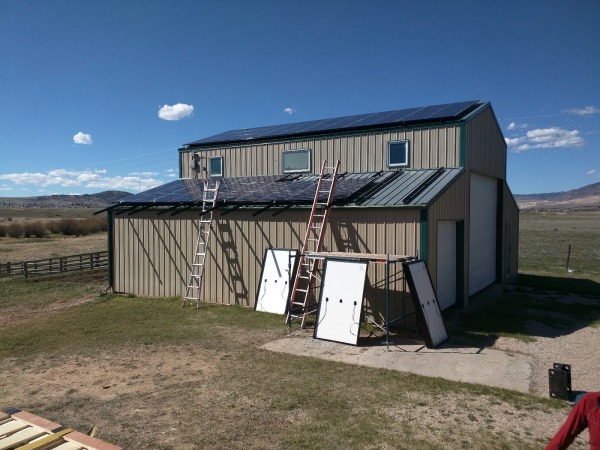 After collecting proposals from five different solar companies, Robert and Donna Nehls chose OnSite Energy as their preferred solar power provider. 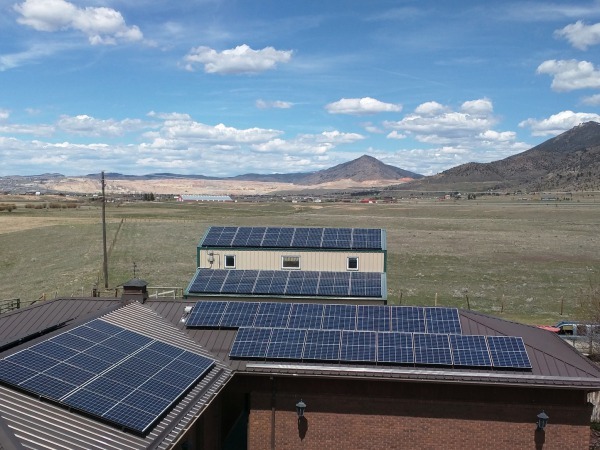 Living in an all electric house, combined with a goal of offsetting at least 80% of their annual energy usage, equated to a relatively large residential solar project at just over 22 kWs. The system design was particularly complex due to the various roof orientations and separation of buildings. 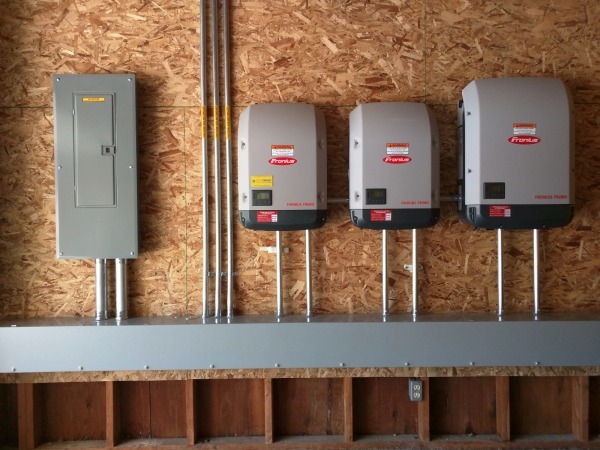 Our design team put together a cost effective solution based upon string inverters with multiple inputs and integrated rapid shutdown provisions. The result is an impressive display of what can be accomplished though creative solar design solutions and a committed and passionate client. Making the most of a large, complex roof. The design included panels on a total of five roof spaces: two levels of the shop roof and three areas of the garage roof. With multiple roof orientations and pitches, the electrical design had to take into consideration properly separating the various solar arrays to insure maximum energy production. 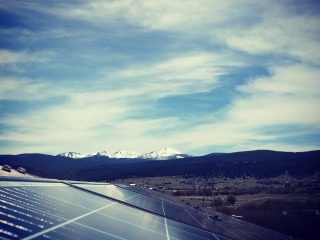 With solar energy more cost effective then ever, more and more systems are incorporating east and west facing solar arrays. The challenge is incorporating the correct technology to insure you get the most out of your investment. 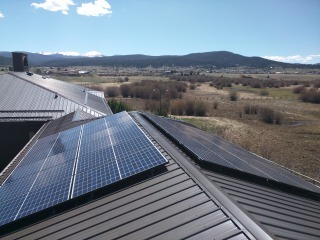 We pride ourselves in meeting unique challenges head on, and providing our clients with the most cost effective and creative solutions to meet their solar energy goals. The Nehls project is a prime example of our approach and passion for our work. "The OnSite Energy group; the Chief Technical Officer, the Project Manager and the installers are professional. OnSite is on time, easy to work with, and easy to contact. The work site is clean. Come see for yourself." Both sides of the garage roof.